Prince of Darkness, Plague of the Zombies and Thunderball. Juliet of the Spirits, Modesty Blaise and The Reptile. Carry on Henry, The Devils and My Swedish Meatball. Gimme Shelter, Curtis Harrington and Pretty Maids All in a Row. 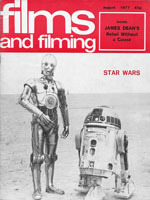 Includes coverage of A Clockwork Orange, Deliverance and THX-1138. Includes coverage of Heat, Joe Kidd and Slaughterhouse Five. 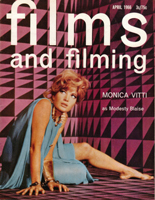 Includes coverage of Amarcord, Heavy Traffic and The Night Porter. 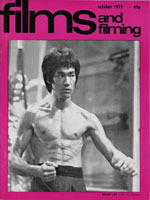 Includes coverage of Enter the Dragon, Hex and Bruce Lee. Includes coverage of Sean Connery, Westworld and Zardoz. The Rocky Horror Picture Show and Young Frankenstein. 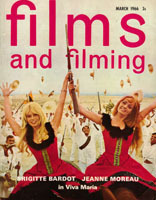 Includes coverage of Rollerball and Salo... or The 120 Days in the City of Sodom. 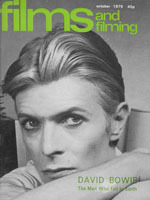 Includes coverage of David Bowie, James Dean, Boris Karloff and The Man Who Fell to Earth. 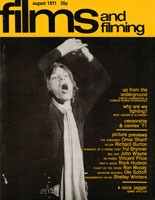 Includes coverage of Exorcist II, Sinbad and the Eye of the Tiger and Star Wars.